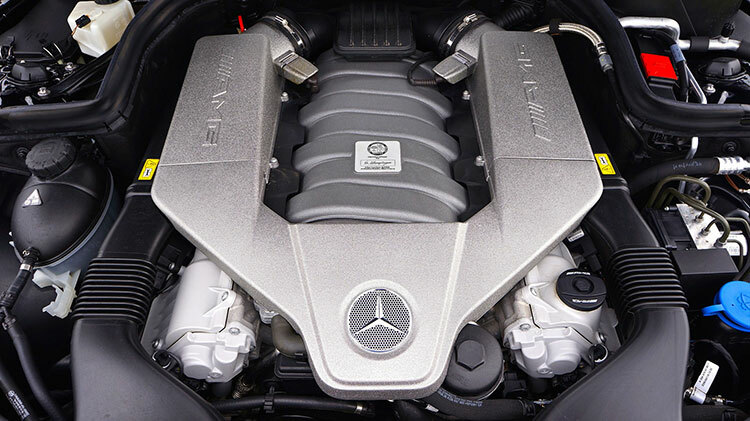 European Motor Cars is reputed for delivering high-quality Mercedes Auto Repair and auto repair services to European motor car owners, for over 30 years. We are well-equipped with world-class tools and technology that complement our highly skilled technicians. If your European Motor Car requires any repairs, maintenance, or diagnosis, be assured you have come to the right place to get all your auto troubles fixed, on-time and of the highest quality. We are experts in repairing and maintaining high-end luxury vehicles and we have the tools and manpower to back it up. Our technicians possess extensive technical experience in BMW Auto Repair, Audi Auto Repair and Mercedes Auto Repair. We also offer services for Land Rover Auto Repair and Lexus Auto Repair. We take pride in our state-of-the-art machinery – run with high-tech automation systems, while delivering convenience and luxury for our clients. You can sit back and benefit from our industry’s most advanced diagnostic and repair systems to fix your vehicle right the first time. That’s not all, you can have your auto repair done with us with zero hassle. We offer a shuttle ride to home or work, or a luxurious waiting room to relax with a cup of coffee, or even have a loaner car at your disposal while we work on your Mercedes Auto Repair or other European Motor Car Service. Why Choose European Motor Car Repair? We strive to deliver proficient quality services. We use a collection of specialized tools and innovative software. We hire only highly trained and certified technicians. We use only high quality car parts, high-performance engines, attractive interiors, and exotic collection of external car parts. We provide shuttle services for clients who visit our garage. We have loaner car facilities. We do all this at affordable prices. We provide a courtesy car wash with every service. We look forward to providing your Mercedes Auto Repair or other service to any other type of European Motor Car, so please call and schedule an appointment today. We offer a Free Valet Drop-off and Pick-up Service. European Motor Cars Las Vegas has a great selection of pre-owned vehicles. Why Choose European Motor Cars Las Vegas? We’ve been in the same location for over 30 years. We have the Longest Nationwide Warranty Not Just In Las Vegas and Henderson. We Stand Behind all Parts and Labor With Our Nation-Wide Warranty: 40 Months/40,000 miles. We have Factory Trained Technicians. We give you a Free Oil Change With Every New Customer Referral. We have Complimentary Coffee, Donuts, Soda, and Bottled Water. We have Free Valet Drop-off and Pick-up Service. 3 Months, 6 Months, and 12 Months options. We offer GE Money Financing Available. We offer Bosch Credit Card Financing Available. We do a Courtesy Car Wash With Every Service. We offer a Military Discount. We offer a Senior Discount. #1 Rated European Motor Car Repair Service Center. European Motor Cars received 4.5 stars out of 5 based on 9 reviews on Facebook.